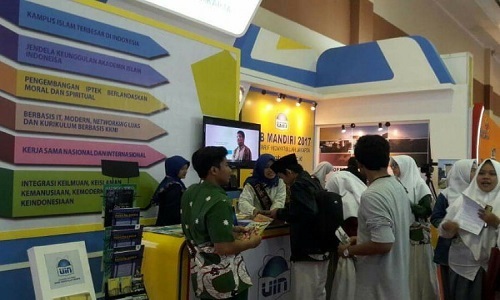 Uni Club, BERITA UINÂ Onlineâ€” UIN Alumni Association (IKALUIN) Jakarta should begin to embrace and pay attention to new alumni, especially to find the job market. Considering that new alumni are now equipped with soft skill (soft skill) by SKPI (Certificate of Accompanying Diploma) from certified institutions in their field and has established cooperation with UIN Jakarta. This was conveyed by the Rector of UIN Jakarta Prof. Dr. Dede Rosyada MA, when giving speech at the discussion and breaking the fast together which was held by IKALUIN on Wednesday (14/06), held in Uni Club room, Harun Nasution Auditorium, campus I UIN Jakarta. 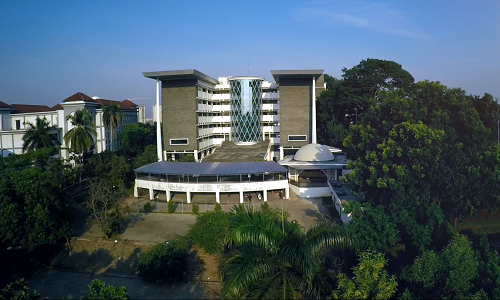 Still according to Dede, now with the opening of a general faculty in UIN Jakarta, it does not reduce the number of applicant to the religious faculty. It is proven this year from the available channels; the registrant in the religious faculty is not less than 60 rbu people. â€œThus, speaking about the market work after graduating from UIN Jakarta, then this becomes a common problem, how the alumni of religious faculties in particular able to find its market share. 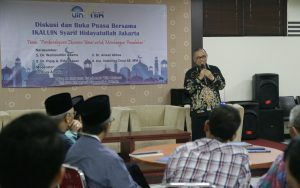 Therefore, we provide new alumni, especially from religious faculty with SKPI,” the rector explained. He added that UIN Jakarta is currently collaborating with several certified institutions, to provide soft skill development for the student. With such expertise, it is expected that the new alumni of UIN Jakarta are graduates of religious faculty, have the provision of skills to be accepted in the world of work, or open their own business and employment. Present in the discussion event which moderated by oleh Dr Euis Amalia, Dr Pipip A Rifai Hasan, Dr Anwar Abbas, and also Ustad Valentino Dinsi SE MM. Discussion on the theme of Empowerment of Ummah Economic To Build the Civilization, runs well and followed by participants consisting of administrators, members IKALUIN and also invited guests. The participants were very enthusiastic to attend the event, proved by lively dialogue between the speakers and participants.